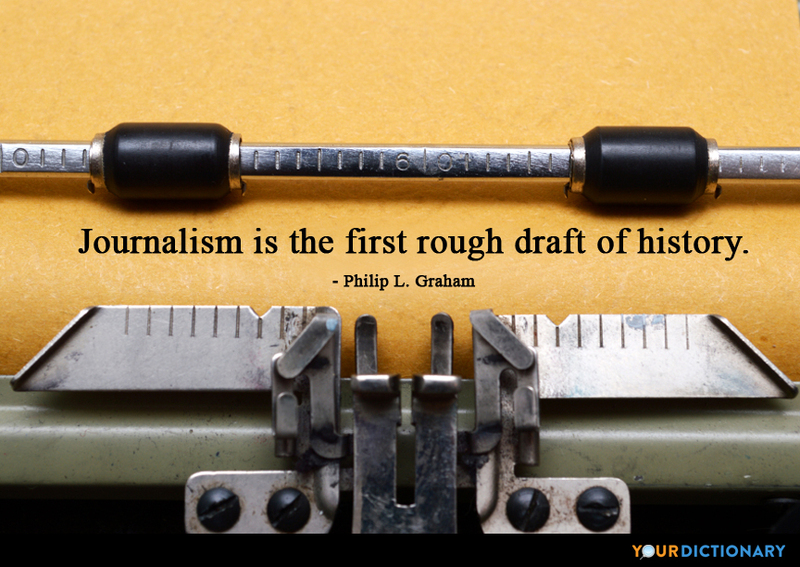 Literature istheart of writing something that will be read twice; journalism what will be read once.  1938 Enemies of Promise, ch.3. The present crisis of Western democracy is a crisis in journalism. I just think it’s the world we live in and there is no real metric to measure us by because CNN is the only one that is still doing journalism.  In response to a question "What is your take on the fact that CNN, the pioneer in cable news, is really marketing your political independence to distinguish itself from its competitors?"  The Big E: Ethics, Bloggers, and Independent Media. A news sense is really a sense of what is important, what is vital, what has color and life what people are interested in. That's journalism.  Oscar Wilde — quoted in Janis, Lois August (2003). Voyage to Insight. CMJ Publishers and Distrib.. pp. Page 70. ISBN 1891280406.
journalism has become a great god of the period, and gods have a way of ruthlessly and demonically taking over there servitors.